As the More is More Mom®, I’m all about…..more bittersweet milestones. Nearly 19 years ago, I could never have fathomed that the day would come when we would be dropping Nick off at college. Seriously, I never even let this kid ride the school bus. But low and behold, our summer came to a screeching halt and there we were; loading up the truck. I must admit, while Nick was somewhat apathetic, I had great fun treasure hunting; gathering each and every little necessary item (and completely unnecessary items) for life in the dorms. We were tripping over the stuff as it was spilling out of our guestroom, into the hall. I guess I thought if I made his surroundings as comfortable as possible, his room would feel like home; a comfortable bed, a cozy chair, a throw blanket made with love from Amanda, his favorite snacks, even posters duplicated from his bedroom in the form of movies classics like Slap Shot and Caddyshack. The day we left was complete and total chaos. Before we raced out the door, Nick visited Rick the Barber for a haircut and he set up Skype with my mom, his Nana. While he was out and about, Chuck and I stacked our Yukon XL to the rafters. We had so much stuff, there was scarcely room for our student! Finally, Chuck, Nick and I piled into the car and hit the road. Thankfully, school is only 3 hours away. On our way, we made a detour so Nick could spend a little time hitting a bucket of balls, chipping and putting. When we finally pulled into the Inn, we were ravenous and ready for our Last Supper; just the three of us. As we settled in for the night, we decided to watch a movie. I wanted to watch Toy Story 3, but Nick said, “There’s no reason for Mom to start crying right now when she has all day tomorrow.” I suppose he had a point. Wedding Crasher’s it was! Drop off day was an absolute blur with so much to do and so little time. 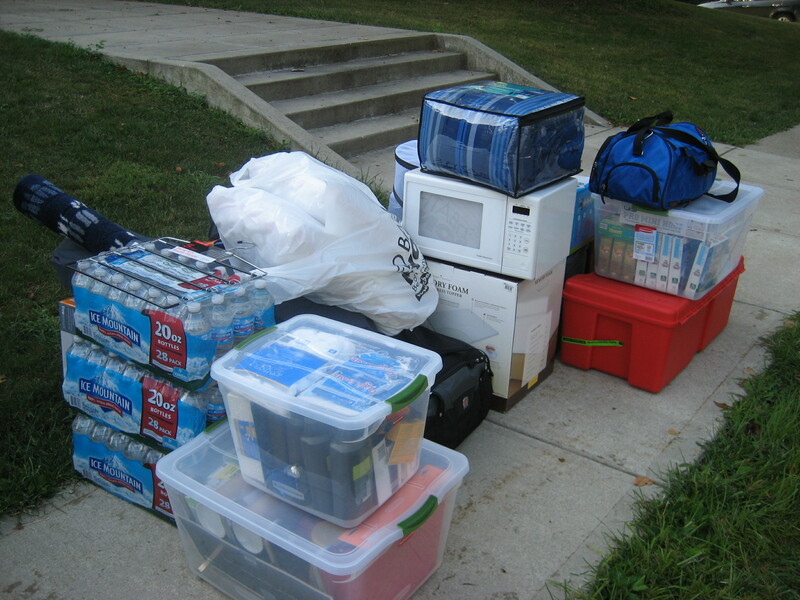 Thankfully, the university had it down to a science; you pulled up, 15 volunteers helped unload your car and brought everything up to Nick’s room. By the time Chuck parked the car, we were unpacking. Thankfully we were alone in Nick’s triple, allowing us time to loft and bunk the beds and get totally organized. The rest of our day went by in a flash; unpacking, settling in, meeting the roommates, ID’s, laptop support, checking the mail box, signing up for the work-study program, meeting his mentor group, the convocation ceremony. Suddenly, it was time for Chuck and I to say good bye. Elton John says, “Sorry seems to be the hardest word.” Clearly he’s never said good bye to a beloved child, because that is truly the hardest word. I tried to be brave, but as I held my boy, I wept. Not only do I love Nick, but I really and truly adore him. While I know I should be so excited for all the wonderful opportunities that lie ahead for him, I can’t help but mourn the loss of having this bright, funny, talented, amazing kid in our life each and every day. What surprised me the most was the abruptness of the entire situation. Thursday morning was life as we knew it; I shagged Nick out of bed so he could get to the caddyshack on time, I toasted him a breakfast pastry (breakfast of champions), and laid out a fresh caddy shirt. Friday morning, we packed up the car and by Saturday, we had him moved into his new home away from home. By Sunday….crickets. I just got off the phone with my Nick and I can’t even begin to tell you how good it was to hear his voice again. Fall break won’t get here soon enough! Chicago Blackhawks Win the Stanley Cup…Need I say More? Philadelphia Flyer, Chris Pronger, is to the Chicago Blackhawks as Syracuse Bulldogs, Ogilthorpe, is to the Kansas City Chiefs (in other words….he’s a real meanie! Can you tell we’re in ACT prep mode? 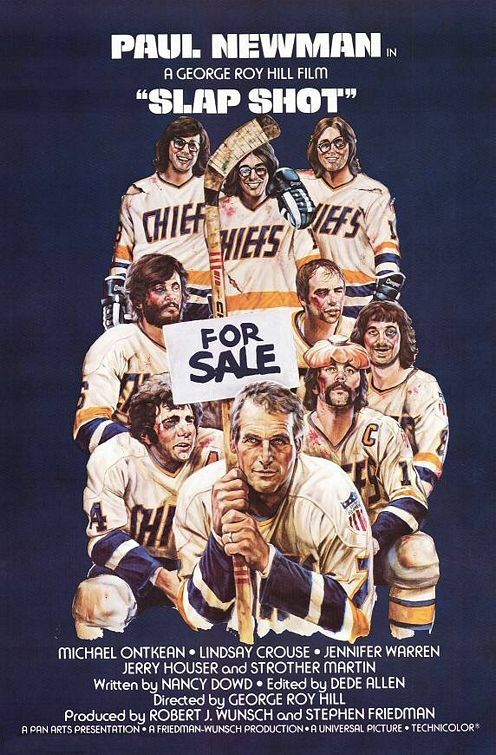 By the way, you have seen the best sports movie of all time, Slap Shot, haven’t you?). To quote Frank Valli and the Four Seasons, “Oh what a night…..” Vince Vaughn on the glass, Jeremy Roenick all choked up and misty eyed, Duncan Keith toothless, Patrick Kane with the game winning goal; Chicago Blackhawks win the Stanley Cup!!! Finally Eric Fergusson can shave his beard and Kathy Hart can shave her armpits (of Chicago’s WTMX Eric & Kathy fame). The only thing better would have been to win it at home. 17,951 days have passed since the Hawks have won the Stanley Cup, and there are so many people to thank; Joel Quenneville for his fabulous coaching, Niemi and his mad goalie skills, Big Buff’s big hits, Olympians Seabrook, Keith, Kane and Toews, and Marian Hossa’s showing at the Stanley Cup Finals, on three teams, in the past three years (I guess the third time’s the charm!). What could be more exciting than seeing the 22 year old, team captain, Jonathon Toews winning the Play-off MVP!?! 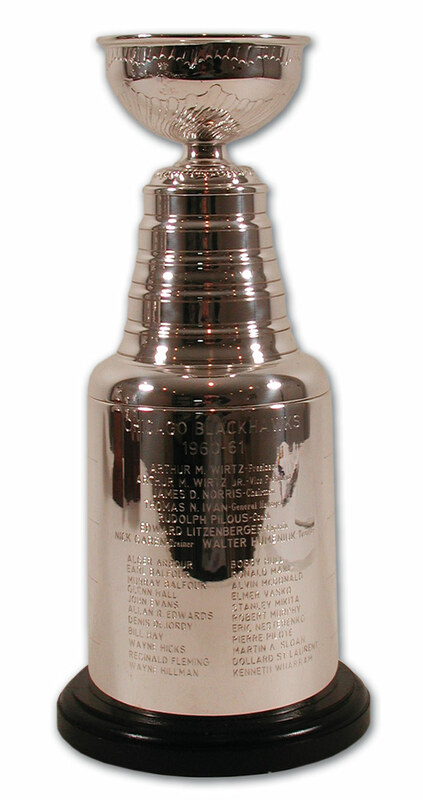 In keeping with hockey’s greatest tradition, each player is allowed 24 hours with the Stanley Cup, to do with whatever they see fit. As the More is More Mom®, if I had 24 hours with the Cup, I would fill it to the rim with Pino Grigio and we would visit every TJ Maxx and More in the tri-state area. 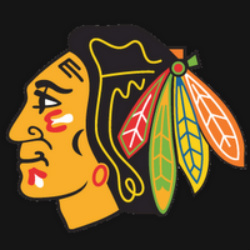 As a hockey fan, a hockey mom and a native Chicagoan I couldn’t be prouder and happier for our Chicago Blackhawks! Please click on the link below, and view my audition for “Your Own Show” on the OWN (Oprah Winfrey Network). Vote early and often…that’s the Chicago way! Thank you for your support!! I truly appreciate your help and friendship!